In 2008 I escaped from Grant Thornton UK LLP, where I had been a partner for over 25 years, to establish my own boutique practice. This was with the full support and agreement of that firm for me to continue to act for those clients who wished me to do so. In an increasingly specialised profession I saw the market opportunity to provide an all-round advisory service to mid-market family businesses and professional practices who wished to have the personal advice and support of “their accountant” and to provide that service free of the restrictions necessarily imposed by a large professional firm. During my time at Grant Thornton I had a variety of roles although my first love has always been client service where I can really “make a difference”. I have been based in Liverpool and Warrington in the North West of England for most of my career, joining Grant Thornton in Liverpool in 1974 before moving to London for 3 years. I returned to the North West to lead the acquisition and integration of a practice in Warrington and was the managing partner of that office for 10 years before returning to my native Liverpool in 1992. I was a member of the firm’s partner selection panel for 8 years, was the North West Regional Marketing partner for 10 years and during my last 4 years at GT led the Special Projects team in Liverpool office during a period of double digit compound growth. 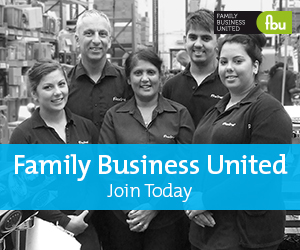 I was Head of Family Business nationally from 2006 until leaving in 2008. In 2002 I won the CBI’s national award as “Best Business Adviser” having been short listed in 2001. I am the co-author of Grant Thornton’s “The credit crunch: a practical guide” and am a regular contributor to both the broadcast and print media including “Ask the Expert” for the Financial Times on Saturday. I also speak regularly at seminars and conferences. Howard Hackney LLP is a new generation advisory practice of Chartered Accountants focussed on identifying the issues and problems faced by privately owned and family businesses and high net worth individuals, providing and implementing practical solutions to those issues. What makes us different is that we are creative and imaginative and consider the client in the round (company, management, shareholders and individuals) from the perspective of a number of disciplines (corporate finance, tax, financial planning, strategic planning, business advice and softer skills) to help clients achieve their objectives – often objectives they would not achieve without our help. Overall this is to make every client feel that they are our only client. We aim to comprehensively understand our clients’ needs and to provide a service that meets those needs but we categorically do not have a series of products that we seek to sell.